A Scots missionary saved “many” Jews from the Holocaust by helping them emigrate to Britain, according to new research. Jane Haining and "her" girls, before she was arrested in 1944, charged with working amongst Jews and taken to Auschwitz-Birkenau extermination camp in Nazi-occupied Poland, where she died aged 47. Jane Haining assisted Hungarian women in securing jobs as domestic servants five years before she was taken to the Auschwitz Birkenau extermination camp where she died in 1944. Author Mary Miller has cast fresh light on the “ordinary, yet extraordinary” woman from Dunscore in Dumfries and Galloway who refused to abandon “her” girls and laid down her life to protect them. She wrote: “Jewish refugees from countries swallowed up by the Nazis were pouring into Budapest, still believing the situation of Jews to be less life-threatening in Hungary than in the surrounding countries. “At Budapest, the appeals for assistance have been so numerous that queues have lined up at the Mission building. “Rev George Knight (Mission leader) wrote of ‘the new seriousness the present conditions induce’, and the Mission somehow stepped up its efforts to help. “They believed by then that the only way to save the Jews was through emigration, and by February 1939 the Mission was putting on courses in farming, cattle breeding and other subjects to help refugees to get jobs abroad. “Jane Haining taught domestic management and gave lectures on social life in Britain. Miss Haining refused to return home after war broke out in 1939, despite advice from Church of Scotland officials, saying the Jewish and Christian girls in her care needed her in the "days of darkness". The hardback book, titled Jane Haining - A Life of Love and Courage, states that Mr Knight was “outraged” by the mounting antisemitism in Europe”. He decided that the objective of the Scottish Mission School, which had around 400 pupils, most of them Jews, was to “educate Jews and Christians together in order to fight the antisemitism that was endemic”. The moving and thought provoking book stated: “At the school, twice as many Jewish parents applied for places as could be offered. The 256-page book, which contains many photographs, states that Miss Haining wrote of a mother of twins who broke down in her office. “The mother ‘was at the stage when she was thinking of adding some poison to their food and ending it all – and now help had come to her from a quarter from which she had never looked for it’. The book highlights a letter written by Miss Haining in which she wrote: “What a ghastly feeling it must be to know that no one wants you and to feel that your neighbours literally grudge you your daily bread. The book is being launched at Queen’s Park Govanhill Parish Church, where Miss Haining was a Sunday school teacher when she lived in Glasgow and worked in J&P Coats thread factory in Paisley. Miss Haining was a woman who, despite being powerless against intolerable evil, refused to consent to the division of humanity into “them and us”. 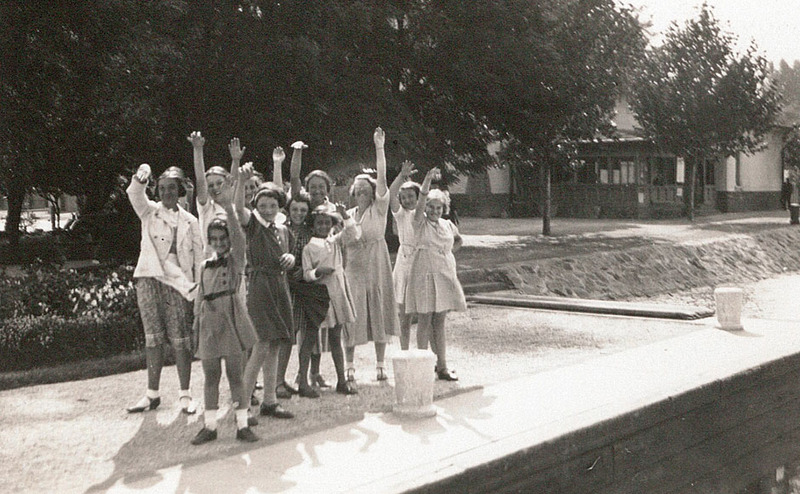 Following the outbreak of war, Miss Haining, spent years protecting the pupils from the increasing danger facing Jews in Europe and matters came to a head in March 1944 when the Nazis invaded Hungary. She was betrayed by the Mission cook’s son-in-law, a future SS soldier called Schreder, whom she caught stealing scarce food meant for the girls. Miss Haining was arrested by “German officers” in April 1944 and former pupil Agnes Rostas, who witnessed the incident, revealed that her haunting last words to sobbing children were “Don’t worry, I’ll be back by lunch”. She never returned to the Scottish Mission, where she worked between 1932-44, and died in the notorious camp in Nazi-occupied Poland - branded prisoner 79467 - at the age of 47. The fluent Hungarian and German speaker was said to have passed away due to "cachexia following intestinal catarrh" but there are doubts to the validity of this ‘official’ claim. “Jane was an ordinary person who became extraordinary through her love and courage and eventually laid down her life for her commitment. Miss Haining is the only Scot to be officially recognised at Yad Vashem, the World Holocaust Remembrance Centre in Israel, and is the recipient of a Hero of Holocaust medal from the UK Government. Rev Ian Alexander, Secretary of the World Mission Council of the Church of Scotland, welcomed the publication of the book. 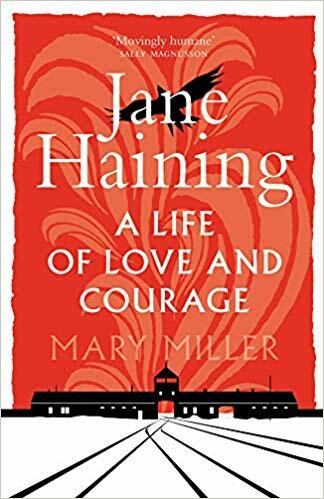 “Jane Haining’s story is heart-breaking, but also truly inspirational,” he added.